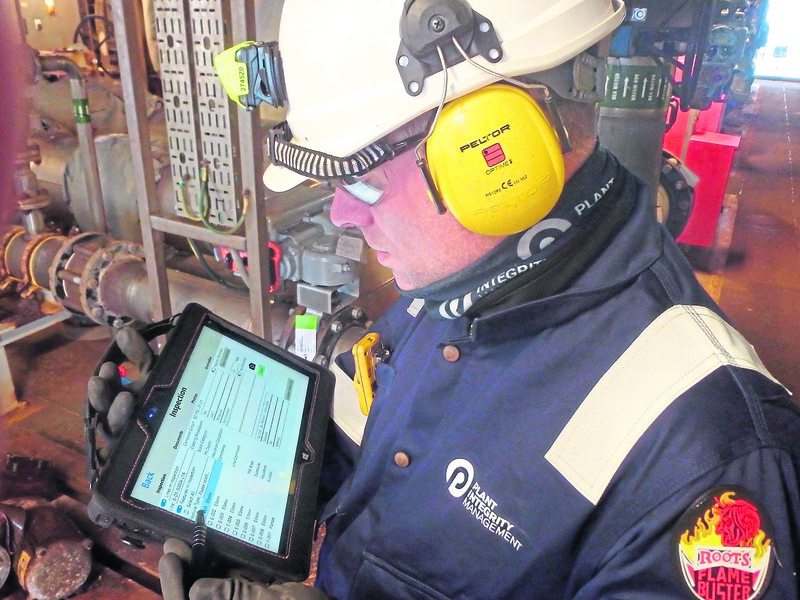 Mr Plant said: “Those working in the field will download electronic workpacks from a server and record inspection information on a tablet. “Any updates are automatically synchronised to PIM Optimum’s central database ensuring there is no delay between information being updated and recorded and the revised information being available to other users. The database is the backbone of PIM Optimum and holds a robust record of equipment down to feature level. “This synchronicity enables PIM Optimum’s condition dashboard to show the real time condition of equipment while the workflow screen displays an overview of the integrity management workflow. “Simultaneously this information is used to populate the inspection report, increasing efficiency and reducing reporting time by removing the duplication of effort and unnecessary admin. “The tablet interface combined with PIM Optimum streamlines the integrity management process and makes it more efficient,” Mr Plant said. “It makes the jump away from it being an onerous, heavily paper based process to an online system where finding the necessary information on equipment or asset condition is easily accessible and immediately apparent. He added: “We believe PIM Optimum is unique. It provides a complete healthcare approach to an asset’s inspection and repair needs, delivering full control of the integrity management workflow process, from risk based inspection (RBI) through to enactment and closeout of anomalies at site. “It makes the jump from managing inspection data and RBIs in isolation to having one piece of software which brings everything together in a single interface.